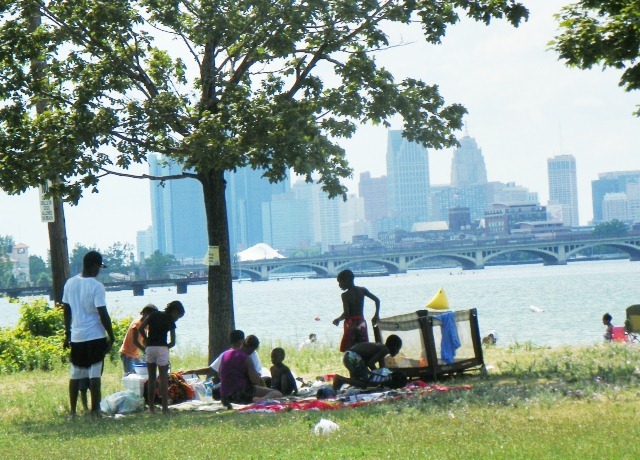 Family picnics on the Belle Isle beach in between swims with gorgeous view of downtown Detroit skyline. (News story from VOD, which attended Rick/Dave press conference, coming shortly. Meanwhile Ms. Sanders has SAID IT ALL in her excellent column from her Facebook page. 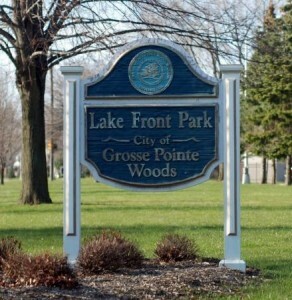 The City Council is holding a special discussion on Belle Isle Monday, Sept. 17, 2012 at 1 p.m. PLAN TO BE THERE! DETROIT —Perhaps you wonder why “they” are planning to take Belle Isle–the crown jewel of Detroit. The taking of assets in Detroit is racism prima facie (on the face). Powerful non-African Americans who want Detroit’s billion dollar assets “fixed” Detroit’s 2009 Mayoral election so Dave Bing–a man from the suburbs of the same race as a majority of Detroit’s citizens–could lead the charge. 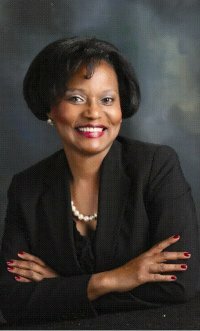 In less than seven years, Michigan State officials, colluding with selected members of Detroit’s City Council , the City’s current and former mayors, and powerful backers, seized Detroit’s billion dollar art institute, billion dollar waterfront convention facility, prime golf courses, thousands of acreage of camp and park land, billion dollar water assets, billion dollar historical museum assets, as well as countless other properties and conferred them to suburban and personal corporate interests, often without providing one dime in return. Family re-union picnic on Belle Isle. 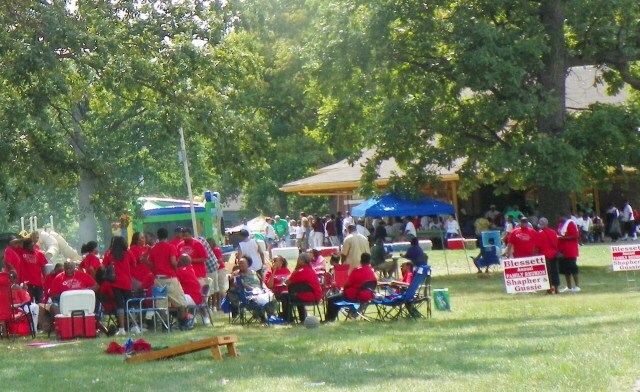 Families travel from all over the country for these events. Cach carload coming on the island will now be forced to buy an annual pass or pay the $8 daily rate. The charge to strip the citizens of Detroit continues the enactment of PA4 and the consent agreement–legislation that removes from citizens their most important asset–the right to vote. The progression of trampling citizens’ rights in Detroit has taken a new turn with an effort to take away Belle Isle–a place where I spent summer days with my family playing baseball, swimming and basking along the beach in the Detroit River as vessels from around the globe sailed by. Why Belle Isle? Why now? The citizens of Detroit are emotionally connected to Belle Isle. If “they” had taken Belle Isle before removing other assets, it may have ignited a war on the streets of Detroit. But now, they see Detroiters as aggressively passive, Facebook talkers with no “street cred,” no determination to shut the City of Detroit down to stop people from coming in taking what is rightfully ours. They view our efforts to focus national attention on the rank discrimination that is occurring in Detroit as fleeting–maybe a story here or a story there, but nothing akin to the sustained focus needed to turn the tide and stop Detroit’s leadership and multi-racial cohorts from bleeding the citizens and City dry. I ask: Pastors, community leaders and citizens has the time come to take to the streets and shut Detroit down–no cars in, no cars out? 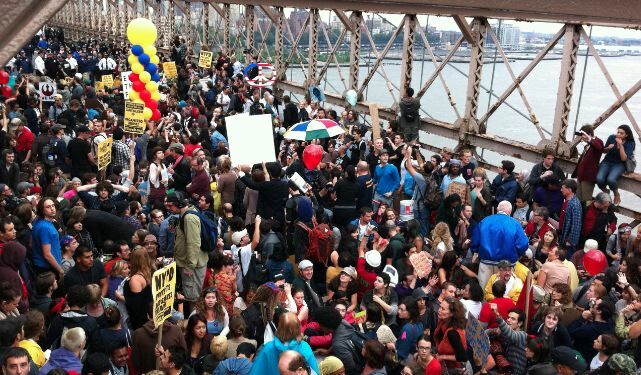 Occupy Wall Street blocks Brooklyn Bridge in 2011. I consider the Bible the ultimate book of wisdom. So I share with you the following biblical passage that I included in my book, The Physics of Money: If You’ve Got My Dollar, I Don’t! Not one bean. Sometimes, we the citizens are forced to employ non-violence as a means of standing our ground. 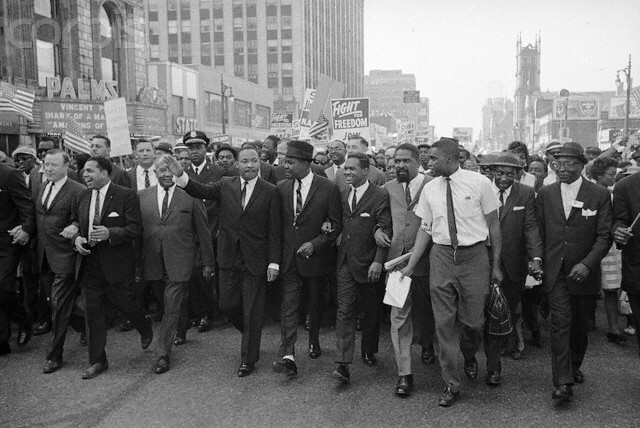 That is how Dr. Martin Luther King, Gandhi and other greats non-violent protesters have slain abusive giants. Detroit: Belle Isle is your last dance. Tell elected officials we don’t need meetings to discuss plans others have for Detroit; No longer we will be impressed with their demonstrated aggression in meetings and great oratory skills when in the end, we lose our assets. We need them to stand now, prevent the sale [or lease] of Belle Isle, and aggressively work to retake every asset wrongfully removed from the citizens of Detroit. Krystal Crittendon, City Council members—it’s time to act! The fact that we’re here in Detroit and we have had the ability to elect political representation does not make Detroit City ours. Detroit City belongs to the old elitist families that own it. Families like the Ford family with Ford Motor Company, Henry Ford Hospital, Henry Ford Village, Ford Field and The Detroit Lions, The Ford Foundation, among other things. As stated in the article, these elitist families control the very politicians that they send for us to elect, as well as the direction of the Detroit metropolitan area and it’s material assets. Material assets to include us. It’s high time we took the blinders off and just looked at this situation for what it is and then attack it from that point of view because “Us” don’t own nothing, “Us” don’t run nothing and “Us” have not loss anything we never had in the first place. You appear not to have read the article. The entrance fee will NOT go to upgrades on the island. Read the lease itself–there is a link to it exclusively in this article. Why has the rest of the media not published the actual lease? The only thing given out at the press conference was an executive summary which ignored many of the issues discussed in this VOD article. This is a well written article. I agree as Detroiters must stand to stop the overt taking of our city by outsiders with the complicitiousness of our Detroit Mayor. He is eating chicken and drinkin (sic) Kool Aid while we as detroiters lose all we own. Ultimately he will leave and go back to Franklin leaving our Detroit a sad shell. Finally, do not allow the constant attacks on us break our spirit and our will to resist and fight!